Students - do you want to create your own review? In the right-hand column you'll find Practical Steps you can take and further reading and advice which you might find useful in Read more about it. The eight links above cover all the aspects of this website. Please bookmark and revisit the site, as we are constantly adding new materials and information. You’ve probably heard of 'the 3Rs' and the idea of literacy – the importance of reading, writing and arithmetic, the basic skills which make a person literate. Well now there’s a new kid on the block – digital literacy. In fact, it makes more sense to talk about digital literacies (plural) as what is being described is a whole set of skills and abilities needed for someone to flourish in today’s technology rich environment. What are these digital literacies? The graphic below gives you some idea of the scope of digital literacies. It's not just about knowing what button to click or how to upload a photograph to Instagram or a video to Youtube. Look at the different circles in the image - how does what you do online and with your devices help you in these domains? Think about the subject area you study in – what digital and technical abilities are important? In this video some London Met students talk about their own use of online tools and services and how digitally literate they are. Of course, you don't have to be a social media guru to think about the kind of skills and digital literacies which you can develop to enhance your career prospects and keep ahead of the competition. As the concept of digital literacies becomes more widespread, the variety of different definitions given to the term seems to increase. Josie Fraser, a social and educational technologist at Leicester City Council offers one useful definition. Another, perhaps more commonly quoted definition is offered by JISC (Joint Information Systems Committee). 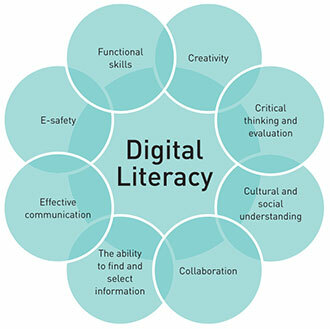 Digital Literacy = "those capabilities which fit an individual for living, learning and working in a digital society." However we define it, what is not in doubt is that, as a student, becoming more digitally literate is a vital aspect of your life as a student, both to enhance the way you learn and study and to improve your graduate attributes and make you more likely to get a better job at the end of your degree. · To help you think about your own digital literacy, try a Self-Evaluation checklist such as this one from the Open University. · Speak to other students and your lecturers and tutors to learn more about the kind of digital literacies which are most important in your subject area. · Look for free tutorials or courses online to help you enhance your skills. For example: The library at Leeds University has created a really useful set of resources called Learning in a Digital Age aimed at helping students to develop their digital literacies. Being Digital is a useful looking new resource from the Open University. 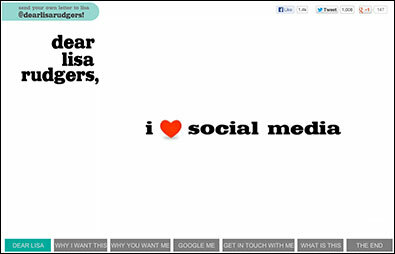 · If you’re a London Met student, become a Digital Ambassador. By becoming a Digital Ambassador you can learn more about digital literacy, get support to develop your own knowledge of digital tools and practices and develop professionally by taking part in designing resources and workshops and helping to spread good practice among students and staff at the university. An article from the Guardian technology section which looks at the changing nature of being a student in a digital age. If you're interested in the theoretical side of Digital Literacies, try this Ted talk from Doug Belshaw. Watch Dr. Tony Wagner (Co-Director of Harvard's Change Leadership group) talk about the 7 skills students need for their future. Although it's not exclusively about digital literacy, many of the skills he describes are closely linked with our digital lives. An interesting talk. Try to become more aware of your own strengths and weaknesses in digital literacy. Looking at the graphic above, try to evaluate how what you do online, on your mobile, tablet, laptop, how you use social media and use various communication tools contributes to your personal and professional development.